Adobe Photoshop is an image and graphics editing software published by Adobe Inc. Photoshop allows user to edit or enhance the photographs, videos and 3D art work. With Photoshop you can explore your creative side by editing pictures and adding special effects to the images. Scope of Photoshop is not limited to cropping and adjusting colors but goes beyond that, we can remove or add objects or effects in the photo, recover or repair old photos and perform almost all kinds of adjustments to the photographs. Photoshop provides for creating professional level art works and is leading the trend. The objective of the course is to provide the learning partners with both the basic and advanced level understanding of the software. It cater to the need of naive Photoshop users as well, who wish to learn the software and practice it as a hobby. The course will help you edit photographs to add special effects. One can also change design and feel of the photograph by altering the shades of color in the photograph to create beautiful pictures. This course will help you in understanding the different shades of the software. It will take you from the basics of editing photographs to developing 3D artwork. Whether you are an amateur photographer or a professional, the course is designed to cater to the needs of both the worlds. The course is customized as per the need of the learning partners. Wizcrafter is a fast growing distinguished training center pursuing excellence in CAD training since 2013. Our state of the art computer lab will help you get the necessary hands on practice. Our learned faculties will help you understand all the relevant as well as minute details of the software. Our computer lab have 30 systems running the latest version of the software. Our learning center is also authorized by Autodesk, and meets the world class benchmarks. The old days of photography where the films were developed in a photo lab has long gone, now we are living in the times of digital photography. In digital photography you can change the actual photograph using computer and as per your need or choice. This has given a freehand to the Photoshop users to change photograph as per the customers need. 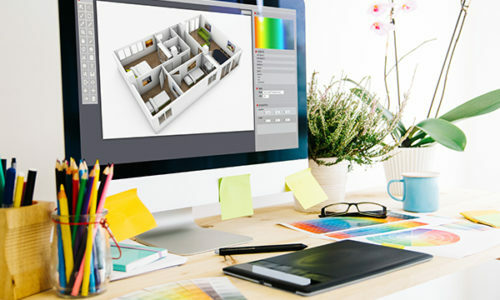 With increased use of computers, the career in digital photography has enhanced by the use of photoshop. Today and in future the demand of Photoshop is going to grow. Photoshop provides easy to use tools in an intuitive interface that is easy to get accustomed to by anyone. Therefore even somebody who loves photography but doesn’t know how to explore the remaining dimensions of photography can enroll for this course as we will teach you all that matters in Photoshop. Not your background, but your love for photography will matter the most for this course.